Years ago, two scientists – O’Neill and Sacks – worked together to develop a mutagen which would be valuable for healing sick people. Their test subjects were four turtles and a rat. A fire broke out in the laboratory, and O’Neill died, leaving behind his daughter April. Now, years later, a gang called the Foot Clan is terrorizing New York City. April O’Neill is a news reporter, and sees the Foot Clan thwarted by unknown (and oddly-shaped) vigilantes. When April investigates the vigilantes, she is surprised to learn that her life has intersected theirs before – and she also learns some hard truths about her past. 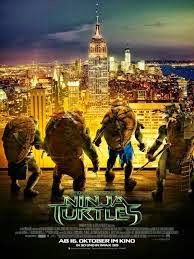 Meanwhile, the vigilantes – the Teenage Mutant Ninja Turtles – must prevent the Foot Clan from unleashing a terrible virus onto the populace of New York. The rat and four turtles that had served as test subjects for the scientists were saved by April. She loved them as pets, and freed them when it seemed that they would die in the fire. The mutagen that had been injected into them caused them to grow in mind and stature until they became anthropomorphized. They’re basically humans. 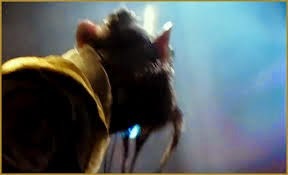 The rat, Splinter, developed more quickly than the turtles (Leonardo, Donatello, Raphael and Michelangelo). He raised them and trained them in the martial arts. He calls them “my sons,” and refers to himself as their father. April’s father did not die because of the fire. He was killed by Sacks, the other scientist. 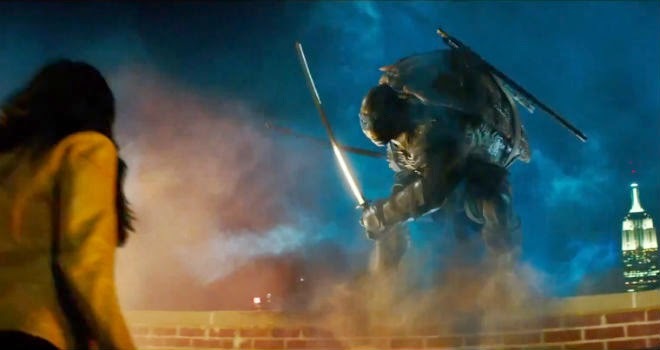 Sacks is more or less the adoptive son of The Shredder, the leader of the Foot Clan gang. Sacks hoped to develop the mutagen as a cure for a serious disease, and then to use the mutagen for leverage by unleashing a disease on New York and then demanding power for the cure. I like Splinter. Splinter explains that he had to show the Turtles how to be safe, “So I became their father and they became my sons.” Splinter is a positive father figure. 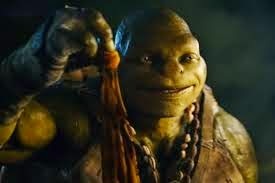 He believes in the Turtles, telling them that they are destined to protect New York, and that they will be able to accomplish “amazing things.” He also reminds them that, as his sons, the Turtles must trust him. When they reach a certain age, he entrusts them with their trademark weapons in a ritual of aging. In a crisis, Splinter puts the Turtles’ needs ahead of his own. Splinter also encourages fellowship among the brothers, telling them “Your true power lies in believing in one another.” Splinter is nurturing, firm, encouraging, selfless, and wise. 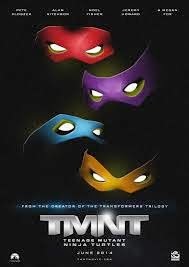 There seem to be several recent films with positive adoptive (or adoptive-type) father figures – Despicable Me 2, Admission, Chimpanzee, Instructions Not Included, Kung Fu Panda, Les Miserables, Martian Child, Man of Steel, Pacific Rim, and now Teenage Mutant Ninja Turtles all come to mind. Hopefully this trend continues; it’s good for kids and teens to be able to see aspects of their stories reflected positively in film, often without it being a big deal in the film. One character is told that her father will be proud of her, so long as she stays true to herself. This is also an important message for kids to be told, regularly – that you will be proud of them, no matter what. We see elements of April’s father’s murder. Now that April is an adult, her father’s murderer tries to kill her; shots are fired, but April is unharmed. Some viewers may struggle with the depiction of violence, and others may find it difficult to be immersed in a story that involves the violent death of a parent. Splinter uses dojo-esque corporal punishment on the Turtles. It’s played for humor, but could remind some viewers of trauma experienced earlier in life. 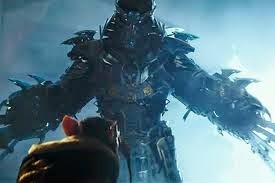 Sacks has been negatively influenced by The Shredder. One character explains, “his soul has been poisoned by a dark master [The Shredder, who is]… like a father to him.” While Splinter is a positive father figure, The Shredder is certainly a negative one. Shredder mocks Splinter by suggesting that Splinter is not their true father. This could be very hard for kids who are struggling with questions of identity, belonging, and “real-ness” of the adoptive family. Shredder stabs Splinter. Splinter does not die, but he is hurt. The Turtles are shown in peril; a character threatens to drain all of their blood. 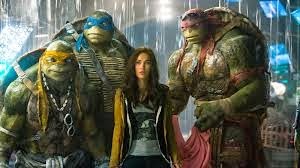 Teenage Mutant Ninja Turtles presents a very positive portrayal of family loyalty, with a particularly positive adoptive father figure. (It also presents the same things in very negatively lights with regard to Sacks and The Shredder, but their story gets a lot less screen time and exposition than the Turtles’ positive story). There are scenes and recollections of peril, violence, and loss which could be traumatic for young kids, and the movie might feel a little childish for older teens, but I expect there to be an age window – maybe between 10 and 14 – where viewers will enjoy the film and be able to appreciate the film’s portrayal of loyalty in an adoptive family and a very positive adoptive father. If, after reading this review, you don’t think your 10-14 year olds would be bothered by any of the challenging or weak points, then I’d suggest watching the film together as a family, and then implementing one or two of the ideas below. If we were to design a “calling card” for our family (like the Turtles’ use of the symbol for “family”), what would our symbol be?